As a subconsultant to URS Corporation (now AECOM), AEA provided traffic engineering services for upgrading existing signalized intersections to meet ADA compliance. AEA verified electrical equipment at 14 existing signalized intersections on Route 23, determining number and size of conduits in each junction box, and the number and size of wire in each conduit. AEA prepared construction plans including new conduit runs, pedestrian signal head locations, ADA compliant push buttons, image detection, and 12” lenses for traffic signal heads to meet current ADA standards. AEA performed site investigations, verified existing conditions, and identified conflicts in the field. Prepared conduit fill calculations and determined quantities. 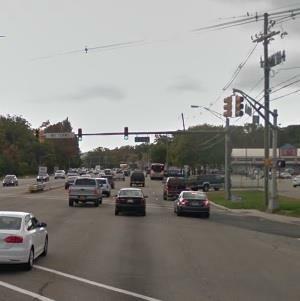 AEA calculated the required walk times / pedestrian clearance times using the MUTCD standard 3.5 feet per second, prepared updated timing directives based on pedestrian button actuation, and prepared Traffic Signal (TS) plans in the latest NJDOT format. The initial project submission was completed on an accelerated schedule in early 2014. At the conclusion of the construction, electrical as-built plans including revised block wiring diagrams were prepared.